I imagine that the disciples of Jesus were asking a similar question on that Saturday before the resurrection. They probably went about their Sabbath routines with broken hearts and a sense of foreboding after witnessing what is recorded in Luke 23: 44-46. It was now about noon, and darkness came over the whole land until three in the afternoon, for the sun stopped shining. And the curtain of the temple was torn in two. Jesus called out with a loud voice, “Father, into your hands I commit my spirit.” When he had said this, he breathed his last. As Christians, we can praise God that He had a plan, and the black moment was overcome in the glorious resurrection of our Lord Jesus Christ. An empty cross, an empty tomb, and Jesus’s numerous visits to his disciples made for the best happy ending in history. I will be giving away two books, the first book in my Village of Hope series, SECOND CHANCE REUNION, and the second book in my Front Porch Promises series, A LOVE TO CALL MINE. I will draw the winning name from those who leave comments on April 17, 2017 at 9PM MST. If you haven’t signed up for my newsletter, please go to my website to do so. I have a giveaway in each newsletter. This black moment makes an interesting comparison between what usually happens in the romance novels and the Saturday before the Ressurrection. Today we have the knowledge of what happens next but it must have seem something impossible to overcome to the disciples. Priscila, I agree it must have been so hard the disciples on this day. I think about the incredible grief all of those who loved Jesus must have felt. A friend of mine just lost her adult daughter and I attended the funeral. The grief was thick to point it had of life of it’s own. I had really never thought until today’s post about how the disciples must have been feeling on this day. I have always focused on his resurrection. The other thought I had as I read this that I haven’t had before was how much Jesus knows us. He didn’t come just once but many times to imprint on the disciples He really had arose. Had He come just once they would have questioned later had they really seen him. Words cannot express how grateful I am He knows me (us) so well so that we can have hope of a glorious future with Him. Robin, I’m so sorry to hear about your friend’s loss. Thanks for reminding us of how well the Lord knows each one of us. I loved this comparison, Merrillee. Wishing everyone a blessed Easter celebrating Jesus’ resurrection. Thanks, Jill, and Happy Easter to you. So thankful that Sunday came and the confusion, dismay, and fear of Saturday passed away!! Melynda, yes. The joy of Easter comes after great darkness. Wishing all a blessed Easter!! Jackie, Happy Easter to you, and thanks for the Easter wishes. Focusing on the pain and grief of history’s “black moment” is so appropriate today. Thank you for the reminder, Merrillee. 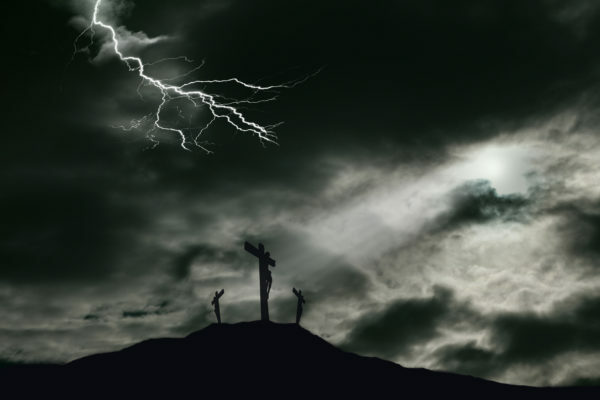 I know I left yesterday’s Good Friday service at my church with a deeper sympathy for the disciples and their grief. They didn’t know Sunday was coming. Valerie, isn’t it wonderful that we know the happy ending. 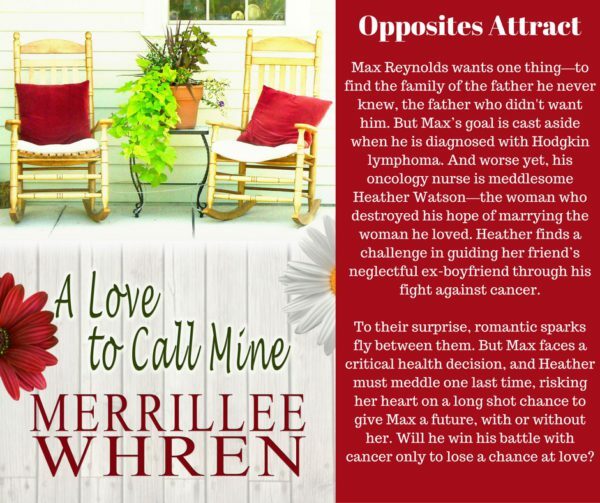 You don’t have to enter me in the book giveaway as I have them already, Merrillee, but I wanted to say thanks for your post! Always a great reminder during this Easter season! I love the “black moment” in every book because it’s important to remember that love is worth the effort and we all need to overcome obstacles to be with the one we love for a lifetime! There will be bumps along the way and we need to know that we can weather the storms of life and that person will stay with us and not jump ship at the first sign of trouble! Valri, you’re welcome. It’s true that we can overcome the black moments in our lives, especially when we put our faith in the Lord. An interesting comparison…thanks for sharing. Happy Easter! Betty, you’re welcome. Happy Easter. Thanks, Sheila. Happy Easter to you also. The real “black moment” is the best! Thanks for the post and giveaway. A very good analogy. Thank the Lord, He loved us enough to die for our sin. 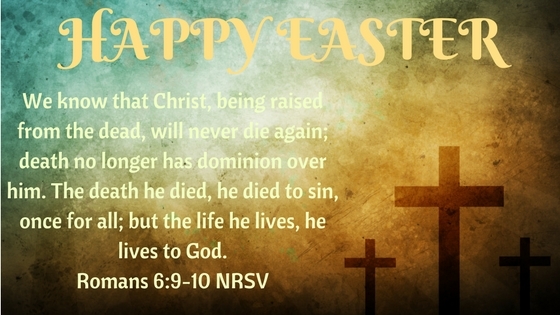 Have a wonderful Resurrection day. Happy Easter! Sunday’s a coming, even though it is black for a time. The disciples didn’t know that, but praise God, we have that hope! Yes, Diana, praise God for his wonderful gift. Happy Easter. This “black moment” is a time of remembrance for me, I remember that the light is coming. It reminds me all year long that despite the darkness, there is always light. Easter is the ultimate darkness and the ultimate light. The darkness of sin paid for that brings light to all. Andrea, so true. God brings light to everything. Happy Easter. Really interesting your comparison. Saturday (or “sadder day”, as I’ve heard in a kids story about Easter) must have been a really black day for those witnessing Jesus death. I’m glad we know now we have the Sunday and that is the reason for our hope and joy. Christ is Risen! Laura, thanks for sharing. I’ve never heard the “sadder day” expression. Happy Easter. I’m always amazed that Jesus willingly went to the cross knowing what will happen but having such great love for us! Wow! No need to enter me as I’ve already read these stories. Happy Resurrection Sunday Merrillee! Trixi, amazing love. That’s all we can say. Happy Easter. Interesting concept. Happy Easter. He is Risen! Praise the Lord! Here it is, a few quiet moments early on this extraordinary day, Easter. Thank you for your added inspirational words to me and others! Janice, you’re welcome. Happy Easter. Great post. What an interesting comparison. Thanks for offering a giveaway. Hope I’m not too late. I’m frazzled but so thankful for the resurrection!